Winter in the States is summertime in Australia, so it seemed like a good time to visit. Last December we flew into Sydney for a trip that would take us to the Outback of Australia and then cruising along the eastern coast of New Zealand. Before starting on those adventures we spent a couple of days exploring Sydney, a coastal city with one of the most beautiful harbors anywhere in the world. Cruise ships dock right by Circular Quay, the area from which ferries leave, with myriad opportunities for shopping, dining, and sightseeing within walking distance. 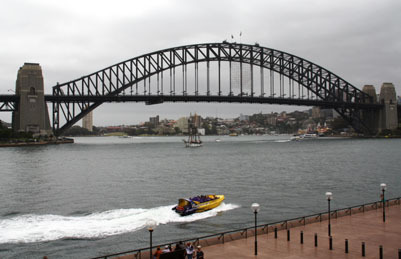 Most of Sydney Harbor is “crown land,” owned by the government and available for the public to enjoy. We stayed in the historic Rocks District, just a few blocks from the harbor. This is where European settlers first stepped ashore in 1788. It’s now protected—new buildings have height limits, and old buildings can’t be torn down. With 47 restaurants, four museums, 10 galleries, and more than 70 shops this is Sydney’s premier market place. A weekend open-air market attracts locals as well as tourists. Darling Harbour is the playground of Sydney. In this entertainment and recreational hotspot you’ll find a maritime museum, IMAX Theater, and casino called The Star. Shops here stay open until 9 p.m., the only ones in Sydney to remain open that late. Market Street’s flea market, restaurants in Chinatown, and Luna Park, a restored 1930s theme park attract many visitors. St. Mary’s Cathedral, the largest church in Australia, features carved walls, two large spires, and dazzling stained glass. Rose Bay, Forsyth Park, and Gap Park (very scenic, but many suicides occur here because of the tall cliff and sharp rocks) are all worth a stop. Coastal treks take visitors along the shore and past lighthouses. Dinner in a revolving restaurant located in either the Westfield Tower or The Summit allows for outstanding views of the city, which is especially glittery at night. 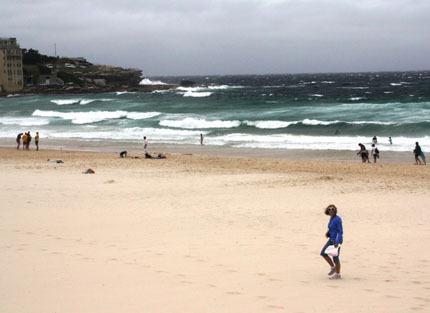 Bondi Beach , visited mostly by tourists, is perhaps the most famous beach in Sydney. Locals prefer less-crowded Manly Beach, a short ferry ride across the harbor. 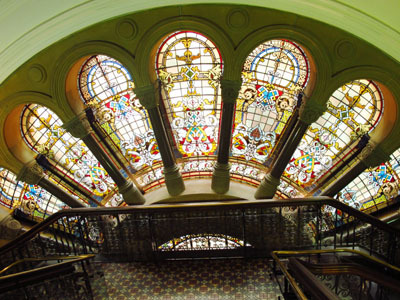 The Queen Victoria Building (QVB) on the corner of Market and George Streets was built as monument to the reigning British monarch. Now restored, it’s a fashionable shopping center with high-end shops and boutiques. 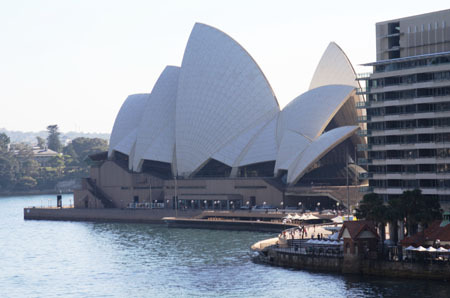 Sydney supports a robust jewelry market, understandable since Australia supplies 95 percent of the world’s pink diamonds and opals. We found Sydney to be a modern international city with friendly, fun-loving people—definitely worth a longer visit.